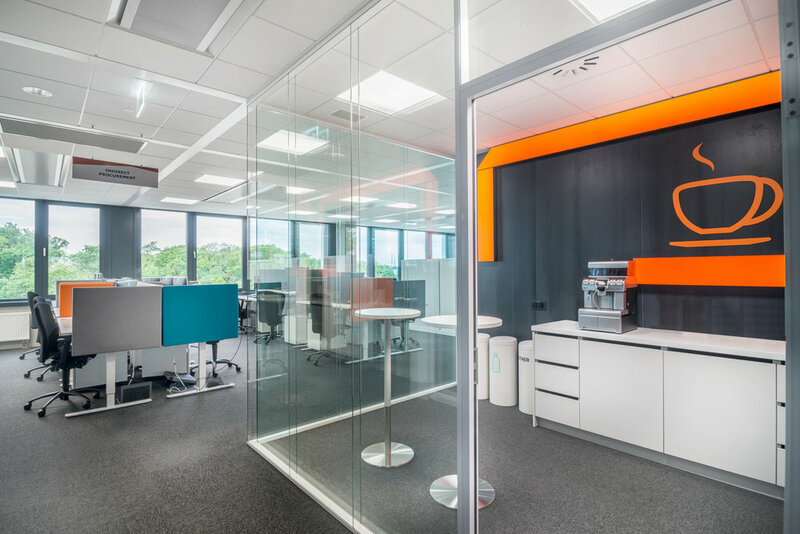 We have completed a wide range of office fitout projects over the last 30 years in the industry, We have provided a select number of projects to share with you. Feels free to explore these projects for inspiration for your own office project. Should you wish to contact us, please don’t hesitate in doing so. Contact us. 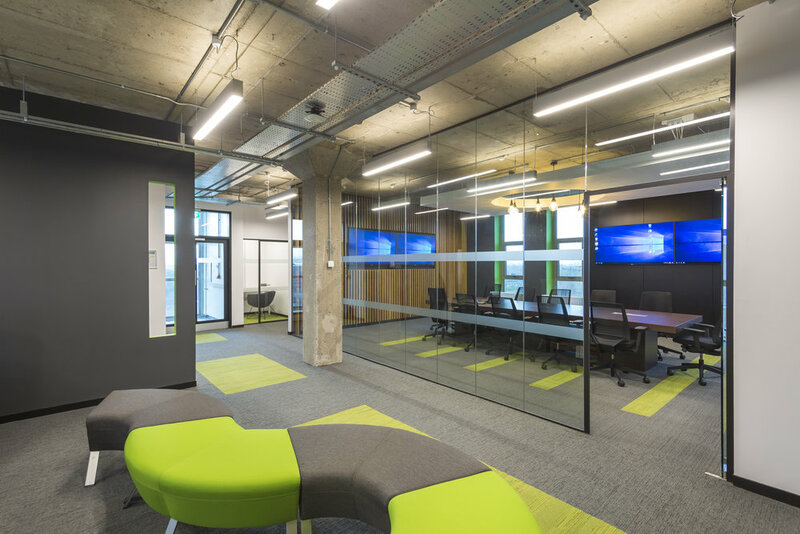 McCreery Office Furniture were nominated by COMMA Architects to provide the office furniture for co-working and conference spaces, as part of a renovation project on the DCU Campus. 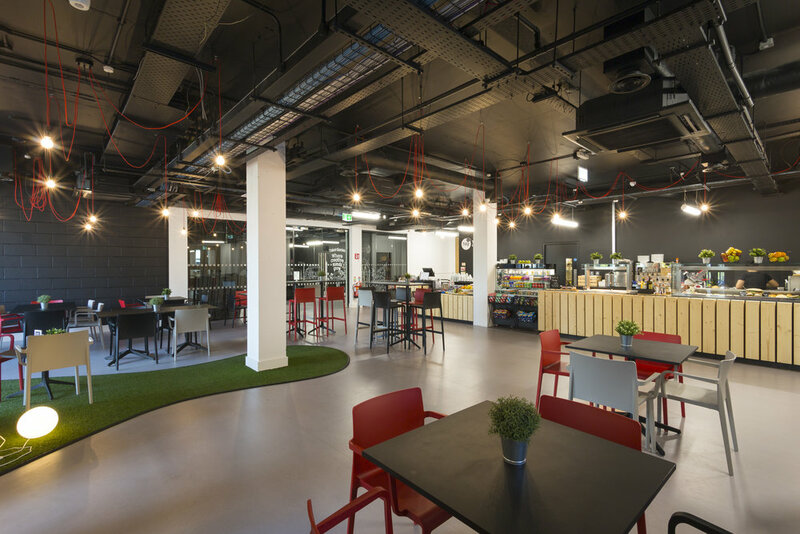 Our responsibilities included co-working spaces combined with breakout lounge/dining areas. We also provided flexible conference flip top folding tables and stackable cantilever conference chairs. The pictures speak for themselves and were very happy to have been part of this exciting project. 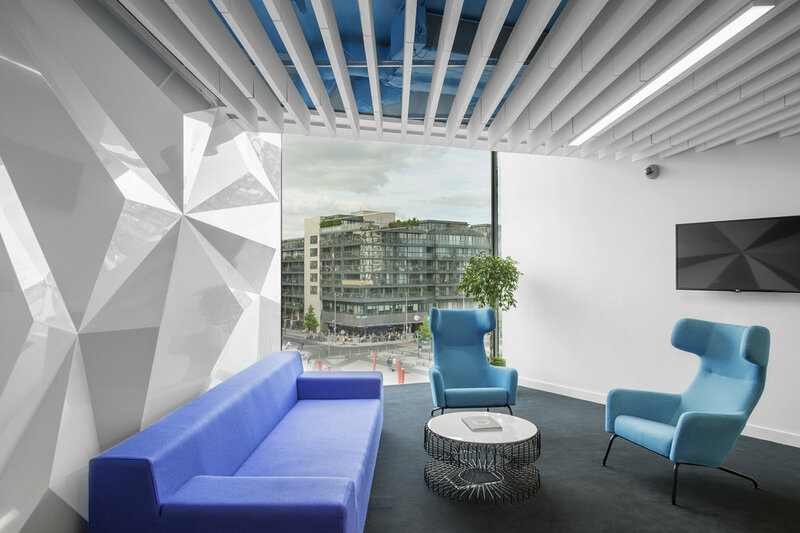 Over and Above, a well-known interior design company created a stunning environment for IPB for their terrific new offices at Grand Canal Harbour. The offices had been previously occupied by a bank but required a complete re-fit to suit the client’s needs. McCreery were responsible for clearing and preparing the site for other works. 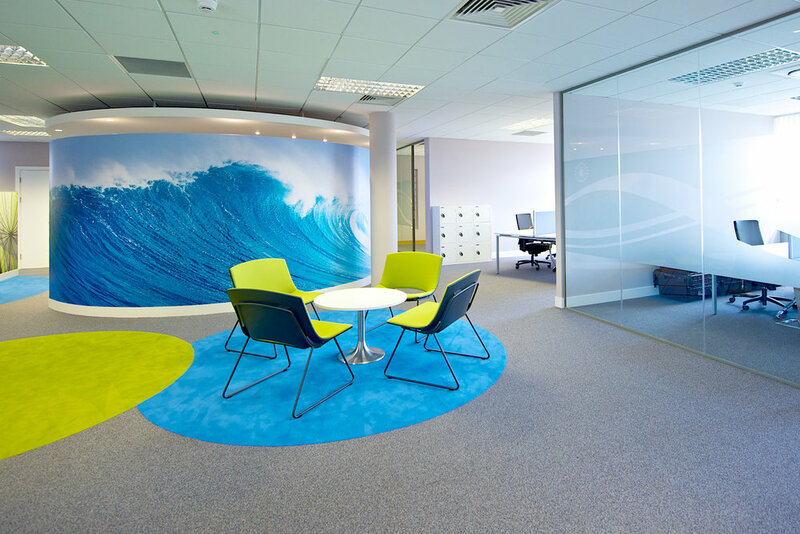 We supplied and fitted a number of Offices, meeting rooms etc. with Logika partitions, Modulyss Carpet tiles and office furniture, as well as he construction and installing of the custom ceiling and decorations. 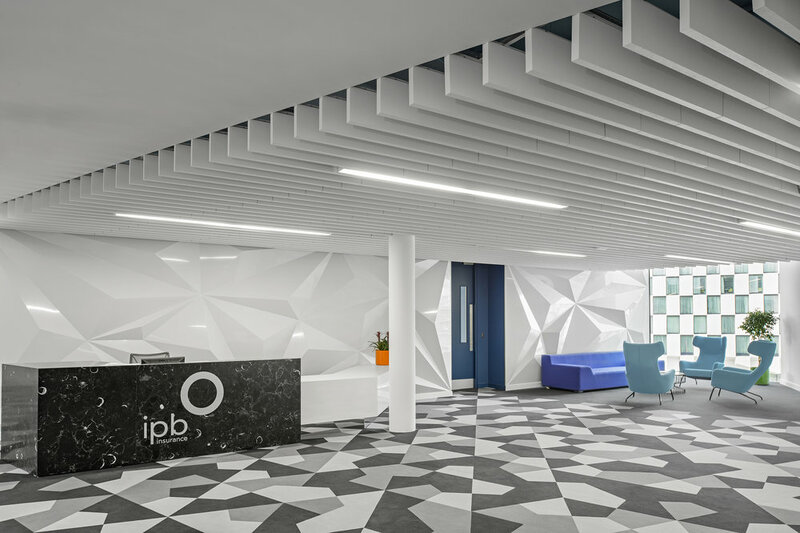 IPB was an exciting project to work on, The design was interesting and allowed us to express ourselves fully with quality products and overall finish. The custom joinery package was largely provided by our own joinery workshop while the supplied Pedrali furniture worked well in the staff restaurants. 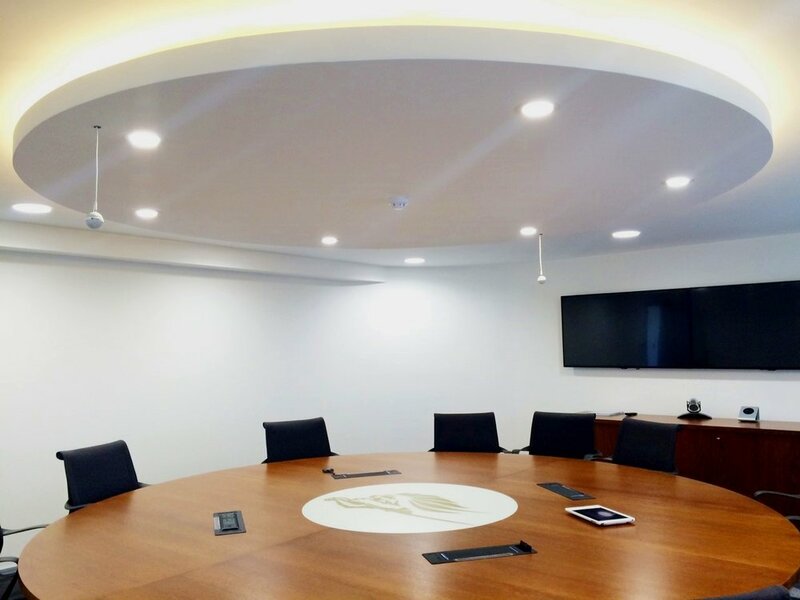 After completing the tender process and overcoming fierce competition, McCreery were awarded the job to supply and fit of office furniture for BD, who are a large global medical technology company. Our supply contract included sites in Ireland, the UK, Hungary and Poland. 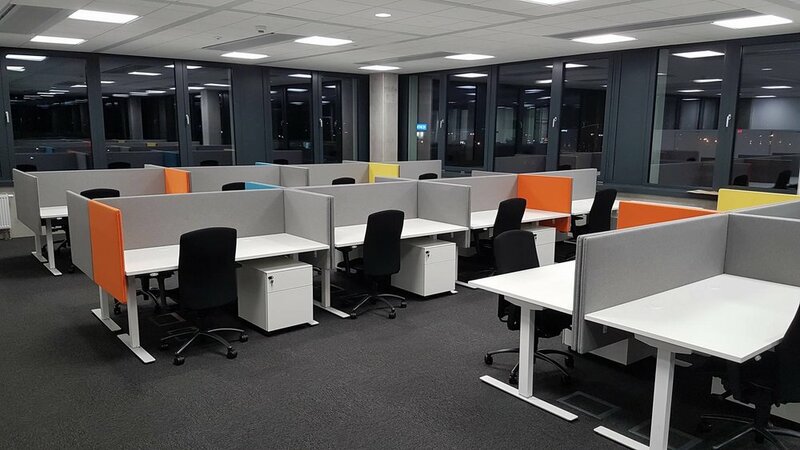 A best practice study performed by BD before the start of project resulted in a specification of height adjustable desks to be used throughout the offices. The Vildika sit/stand workstations that were used in the project allow the user to sit or stand at various heights during their working day so as to optimise their comfort as it has been recommended by the study that we stand for at least 20% of our day. 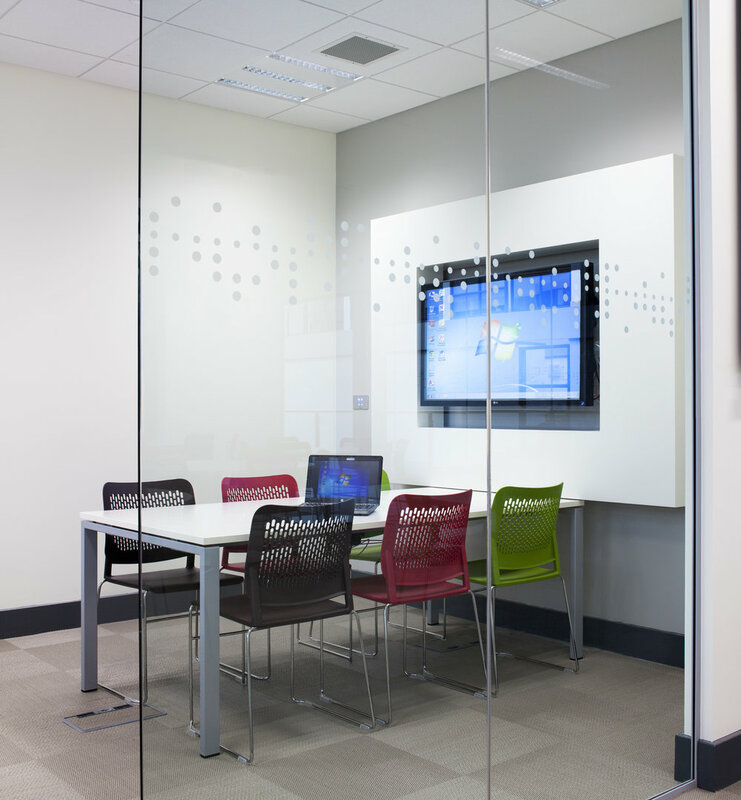 The acoustic screens that surround each workstation can also move up and down along with the desk tops. Superior cable management was required to be employed with these mobile workstations otherwise the cabling was becoming an untidy mess. Teknion Projek chairs provide superior ergonomic support at each workstation since their superior adjustability allows for a greater comfort when a user chooses to sit rather than stand. Teknion TekN folding conference tables and Teknion Workday also allowed for a similarly flexible solution in the conference areas. The client took a keen interest in the project and specified Pedrali Arki tables and Laja chairs to be used in the final outfit. An interesting choice that certainly provided a contemporary feel to the meeting areas. Cartrawler are a fast growing dynamic company and needed a partner office furniture supplier who could provide quality office furniture at a reasonable price point. McCreerys were pleased to be chosen. 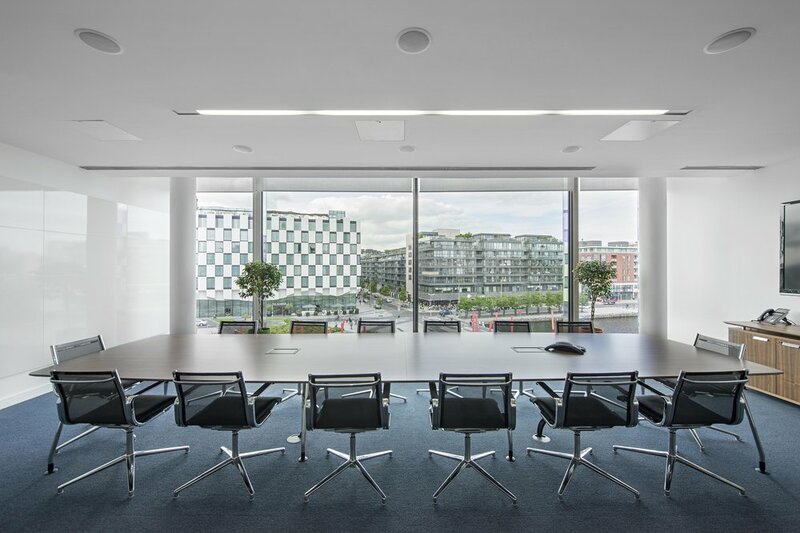 When one of the world’s leading Travel companies opened their Dublin engineering office they chose Teknion desking and Okamura seating. A fantastic high quality solution for the long term. 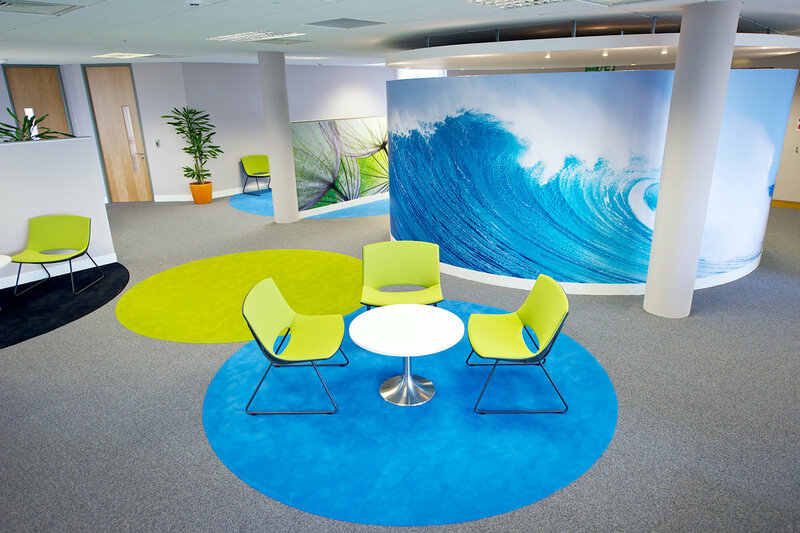 Scott Wallace, Architect, came up with an interesting design that provided Topflight staff with a stimulating work environment but with office furniture that reflects their needs. We designed a bespoke reception desk in our Mc Creery joinery department on behalf of David James Interiors. The internal glazed partition system was supplied and erected by McCreery which was a single glazed Logika 5000 slim-line track with veneered walnut door sets. 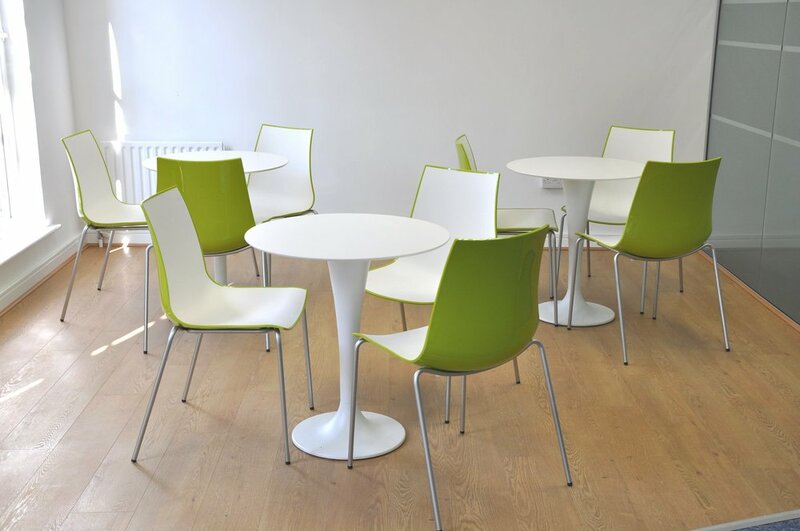 There was a total of 7 offices including a boardroom but the project also involved a kitchen refurbishment, which included a bespoke high table finished in a durable melamine finish in a selection of colours, with a variety of low and high seating. Also included in our scope of works was a variety of bespoke storage, ranging from credenza to built-in storage units as well as units with sliding doors and wardrobes. All works were completed on a tight 3 week program. 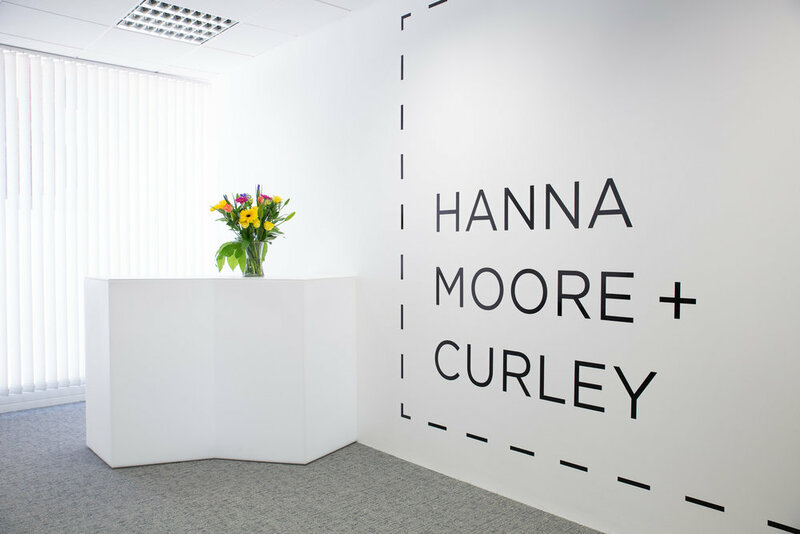 This project was for Kennedy’s Law, an international law firm moving into the affluent silicon docks area of Dublin 2. 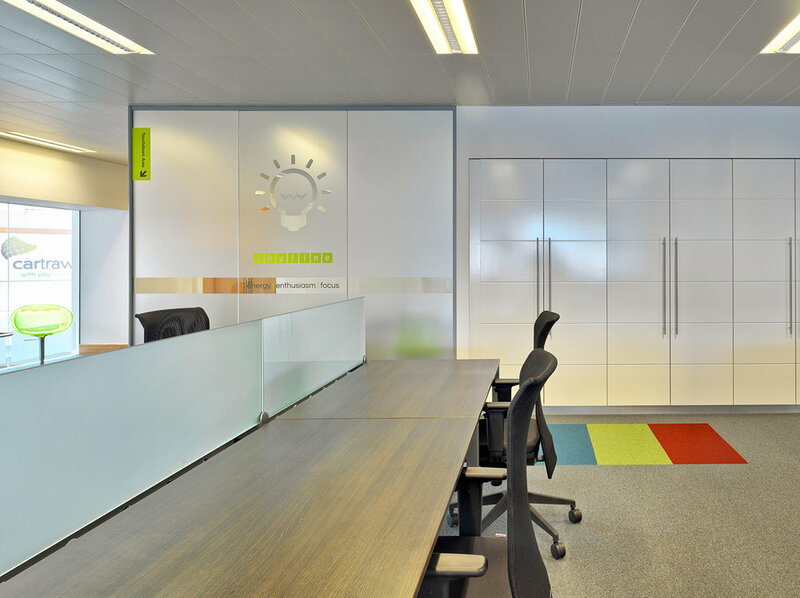 Auxilion’ s office are an intersecting mix of colour and design that reflect their bright offices in Parkwest. London and Sheffield. A great company to work for that demand a high quality of finish and attention to detail. 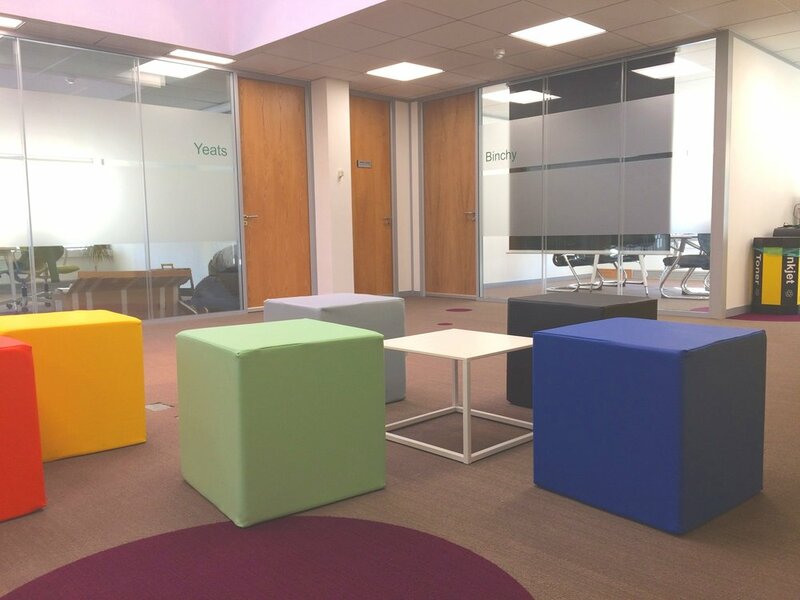 Frezza furniture met their needs along with Sitland and Okamura seating. 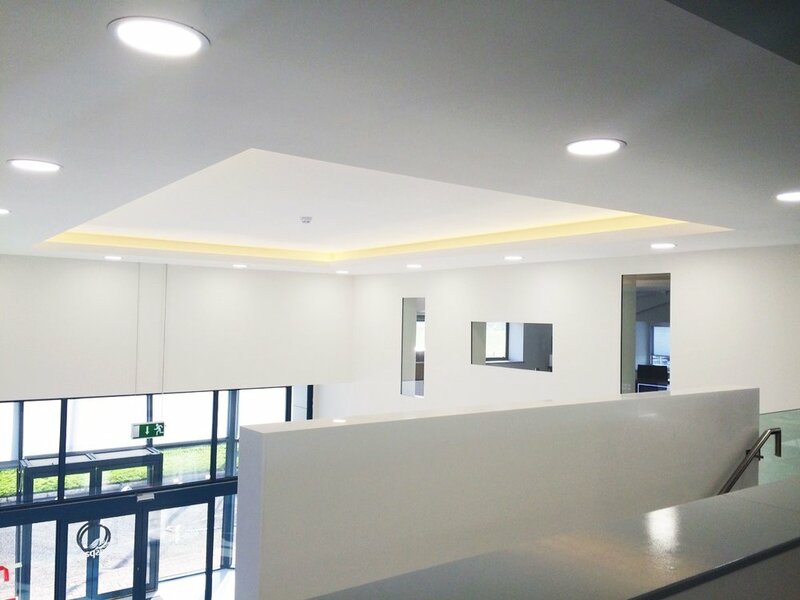 Following our initial meeting with Kingspan we designed, scheduled and delivered a project consisting of complete fit-out works for Kingspans head offices in Kingscourt, County Cavan. 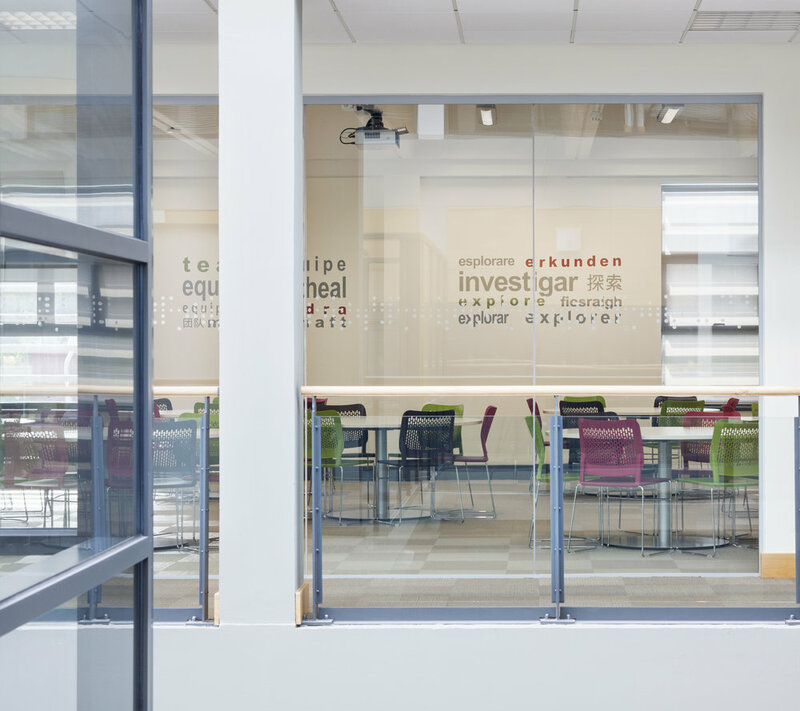 The scope of works included stripping out each floor completely as well as refitting of ceiling grids and tiles, lighting, stud partitions as well as painting. 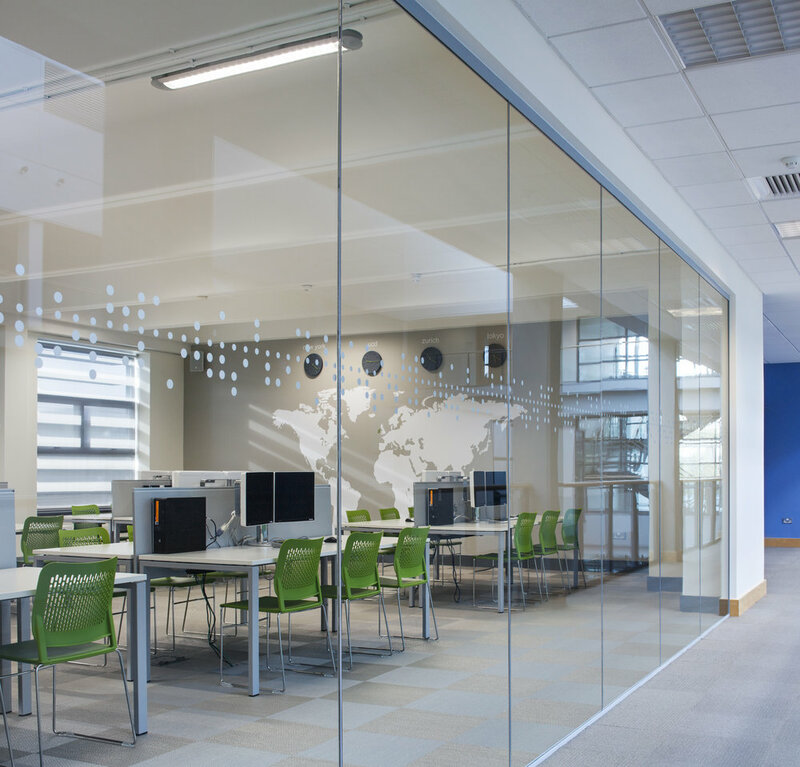 Single glazed Logika 5000 slim-line track with glass doors set in aluminium frames was employed, along with loose furniture such as desks, screens, chairs and meeting tables. 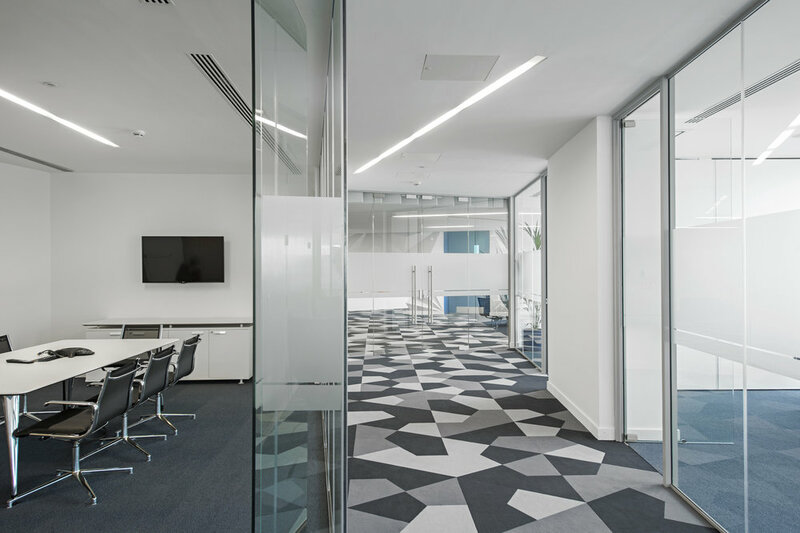 All of the flooring was also replaced in the total of 18 offices including two boardrooms. The project also involved a kitchen refurbishment, which included several bespoke tables finished in a durable melamine finish in a selected colour with a selections of Eames replica chairs. 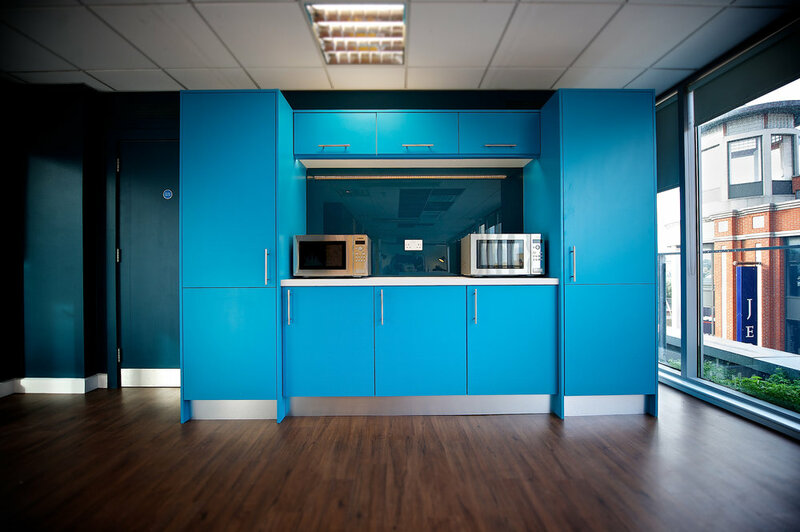 Also included in our scope of works was a variety of bespoke storage equipment, ranging from credenza to built-in storage units, tea stations, a reception desk plus additional general storage units. The 4 toilet blocks were also completely refurbished during the building works. The project was scheduled to run over 3 phases as we were constructing the new Kingspan head offices in a live environment with each phase of works being completed on tight deadlines. 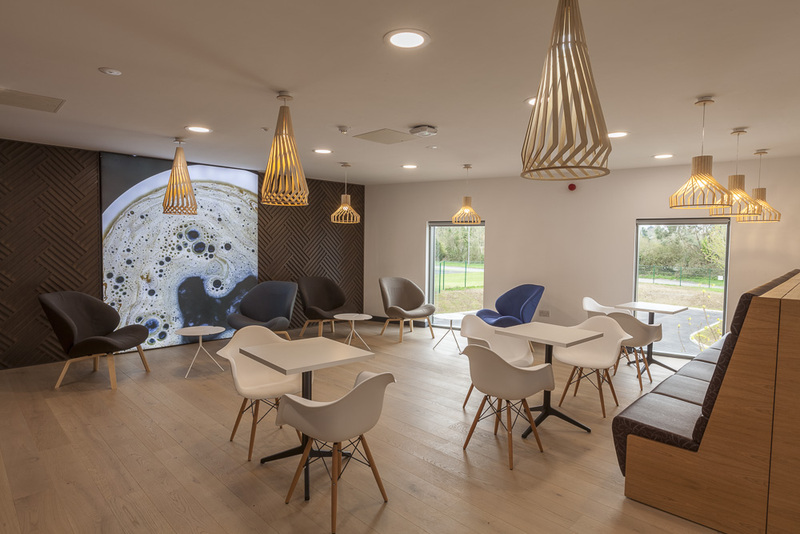 According to Derek Corrigan, “McCreery have exceeded our expectations on every level, the service their management team provided from conceptual designs to delivering a very modern & stylish head office [was outstanding]“. Our focus on 3rd level education sector has resulted in us winning contracts in many 3rd level institutions including UCD, DCU, IT Athlone etc.. This award winning project is the result of close liaison with our joinery workshop and the design/build team. The Bespoke joinery ids standing the test of time. Folens are a publishing business and contacted us to provide them with a new office interior. 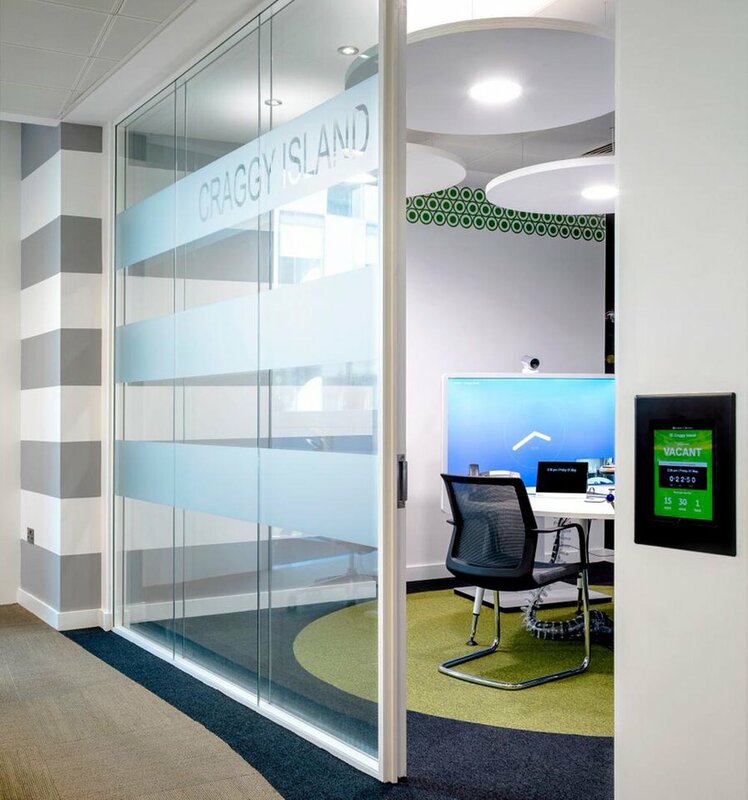 We removed their existing offices and meeting rooms and provided them with new offices, meeting rooms, small booths, reception area and furniture for these locations. This was a full office fit-out from the layout design, managing the lighting grid, AC units location/ move, Partitions location and installation. 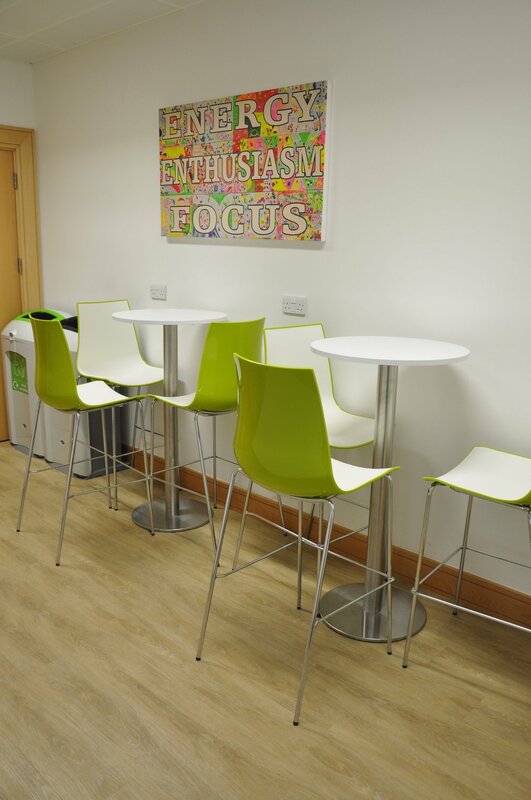 We provided the office furniture for each area over the 3 floors. These are just a few photographs of the new office.